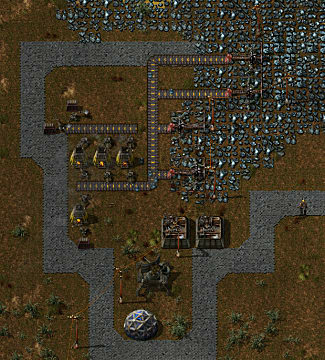 Every now and then, a building sim comes along that throws a real spanner in the works -- and Factorio is that sort of game! There's so much to this incredibly detailed factory building game that, unless you know a thing or two about engineering, you are going to need a bit of help to get started. 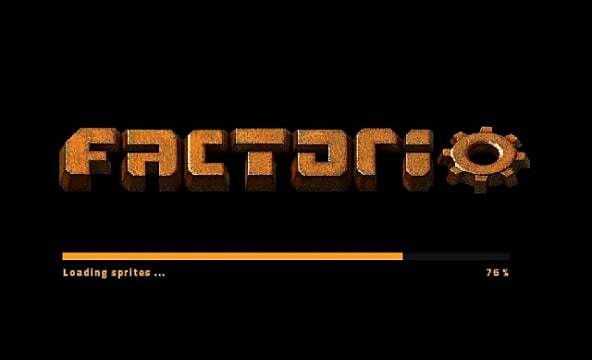 I don't have a clue about industrial processes or manufacturing, but I'm a fan of games of this genre. 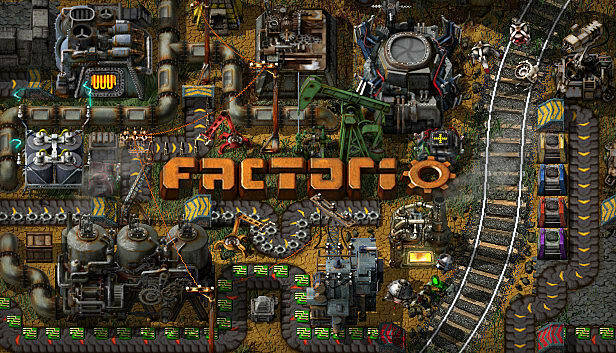 Factorio does not let the builder fan in me down -- but my starting game was definitely a process of trial and error. 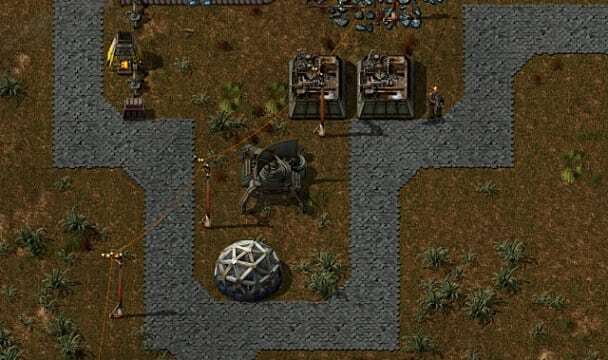 So to help all you new players out, I've written this ultimate beginner guide to Factorio to give you a helping hand and a good place to launch into your own game. Once you have gotten into the game itself, you will find yourself in a woody grassy area. The first thing you need to do is go for a walk. 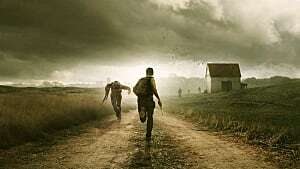 Familiarize yourself with the immediate area around you, look for various drilling locations, and maybe get a glimpse of where the enemy forces are based. You need to make sure you memorize where the Coal, Ore, and Stone areas are to begin with. This is what you will be drilling for first. But before you can even start drilling, you are going to need some fuel for your starter Burning mining drill, so get to chopping those trees down. 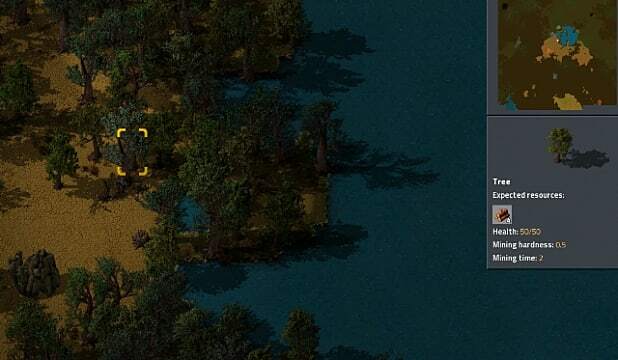 Trees can be chopped down just by holding down the right mouse button. 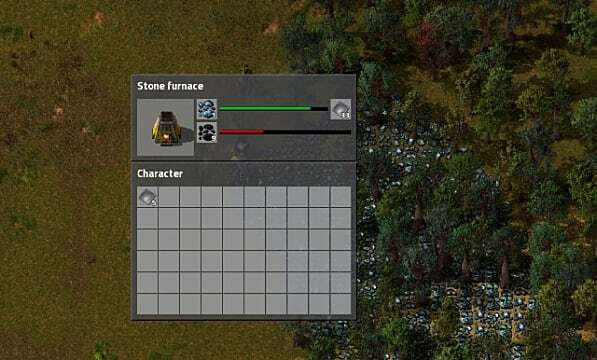 As you get a burning mining drill and a Stone Furnace for free at the beginning, once you have acquired some fuel, you can get straight to harvesting your first raw ore -- Iron. So, remember I said to memorize where your nearest iron deposit was? Well, now you need to head over there and place mining drill. Once placed, left click on it and it will bring up the drills menu and your inventory. Drag the stack of wood you have in there into the square that looks like a gas pump. The drill will start off and, voila! Now you are drilling for iron! Now you have some raw iron, you are going to need to get it to a stone furnace. 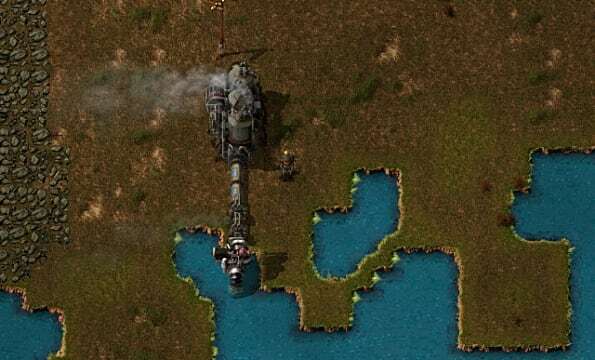 Sure, you can just collect it in your inventory -- but since Factorio is all about industrial process, there is an easier way. 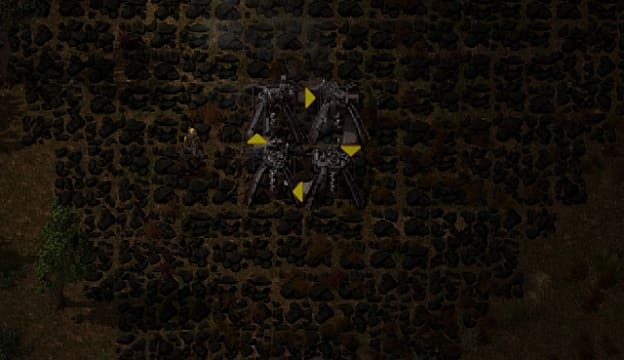 If you place your stone furnace at the top of your drill, the ore will automatically be placed inside the furnace. Make sure you load the furnace with fuel again, and away it will go. You will have steel plates in no time! Each production unit, whether it be a drill or a furnace, can hold up to 100 pieces before it will stop and wait for you to remove them. Once you have a more automated process, this will be done automatically -- but just be aware of this to start with. To gather Stone, you do not necessarily need to set up a drill to get it for you. At this early stage, it isn't used in much other than in making a stone furnace. Just find a patch of stone and you can mine it whenever you want in the same way you chop down trees. While chopping trees is a quick and effective way to gather fuel for burning, finding an area of Coal is well-worth your time, as it burns for longer so requires smaller amounts for the same output. Coal can be mined in a similar way to iron -- but for a larger output, there is an autonomous method to keep your coal stores up. 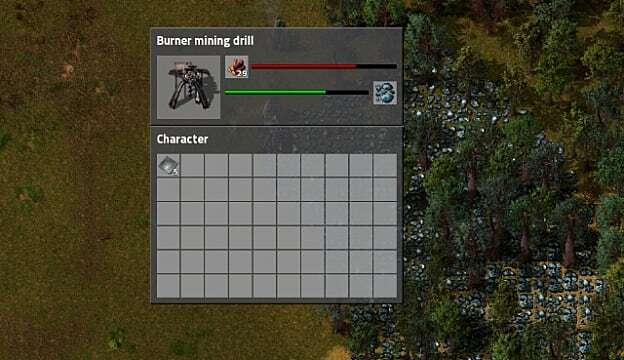 As the burner mining drill requires fuel to work, you can set up a set of four drills that feed coal directly to each other. If you look at the image below, you will see that each drill is facing another with their outputs. This means that they are putting coal directly into the next one. As the coal is mined quicker that it is burnt up, there will always be a large stack of coal in the drill's fuel slot. Just take coal out of it when it's needed. The first type of power you will need to generate is Steam Power. With this, you can start to use Electric Drills and, shortly after, the Electric Furnace. Pipes only require one steel sheet to make. Now that you have everything you need, you need to find a body of water. On every map, there will be a water source of sorts -- and this is where you need to place your offshore pump on the shoreline. Attach to it, in the following order, a boiler, a pipe and then the steam engine. The electric pole is then placed next to the steam engine. Put some fuel in your boiler and you are generating steam power! But there is still a sign on the engine that says that there is a power problem! Well, that happens when you don't have anything to power. My advice is to invest some materials into making an Electric drill to replace one of the ones you already have.Once you have it in place, make sure you have enough electric poles available to connect it to your steam engine. Once you have the basics of power generation and crafting under your belt, the next thing you need to start thinking about is research. 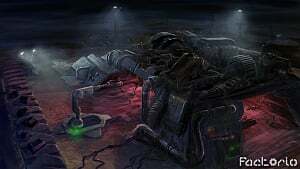 This research allows you to progress through the game's tech tree, unlocking all kinds of tech, leading you to advanced power generation like Nuclear Power and advanced technological defenses and weapons. Before you even select what you'd like to research first, you need to build a Lab and understand Science Packs. 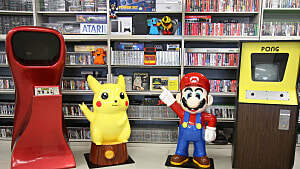 These are used to generate your research, and they're made up of various smaller items. 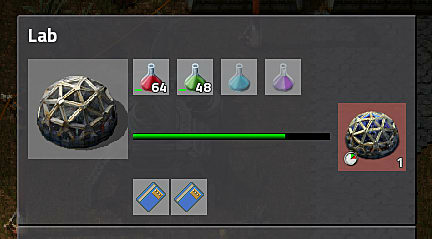 For example, the Red Science Pack is made up of Copper Plate and Iron Gear Wheels. Not only do the science packs take a long time to make, but as you can imagine, research takes a pretty long time as well. Purple Science Packs are very easy to make, but require Alien Artifacts. The first bit of research you will do is Automation. 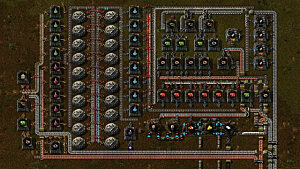 This is pretty straightforward and only requires 10 red science packs. This will unlock the use of an Assembly Machine and a Long Armed Inserter. 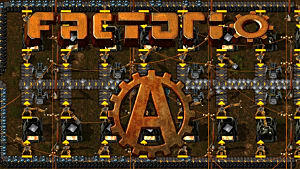 I recommend that you get some assembly machines up and running as soon as possible, as these allow you to craft more items at once. I currently have three in my basic set-up -- one crafting an item I use a lot and the other two crafting red and green science packs. Now you know how to mine your basic raw materials, how to smelt them, basic coal mining set-up, how to introduce electricity into your game via steam power, and the basics of how to research different technologies. 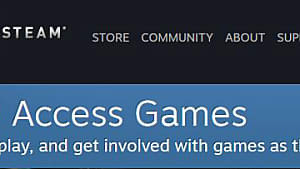 So what other starting tips can I give you? You will want to have a mine, furnace, and storage chest set up on a stone deposit. When Stone is put into a furnace, it creates Stone Bricks. These bricks are used to make paths, which increase your walking speed by 130% -- very useful if you are on a map where your resources are spread out over a large area! You will want to build up your crafting materials pretty quickly to begin with, and storage is a great way to do this. To begin with you have access to Wooden Chests that have 16 slots and Iron Chests that have 32 slots. Keep all your mining processes going at all times and fill up plenty of chests to ensure you always have a backup... especially coal! Always make sure everything is doing something, focusing primarily on your lab and on your assembly machines. Even if you have your assembly machines making something pretty basic, stock up on components you need for science packs. As things can be pretty spread out, don't stay still. Continually run back and forth to make sure that machinery has the required fuel. If some processes stop, then you could end up with a bottleneck and the factory will start failing. Don't be afraid to start building up your defenses. Unless you are playing peace mode (where the opposition will only attack if you hit them first), you have no idea when an enemy strike is going to happen. Get armed and get a Radar up as soon as you can!